Minimalism in music often features repetition and iteration such as those of the compositions of La Monte Young, Terry Riley, Steve Reich, Philip Glass, and John Adams. The term minimalist often colloquially refers to anything that is spare or stripped to its essentials. It has also been used to describe the plays and novels of Samuel Beckett, the films of Robert Bresson, the stories of Raymond Carver, and the automobile designs of Colin Chapman. 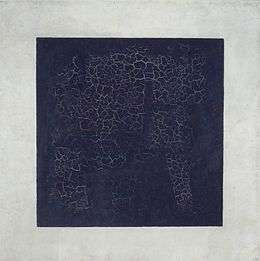 The word was first used in English in the early 20th century to describe "a 1913 composition by the Russian painter Kasimir Malevich of a black square on a white ground". Minimalism in visual art, generally referred to as "minimal art", "literalist art" and "ABC Art" emerged in New York in the early 1960s as new and older artists moved toward geometric abstraction; exploring via painting in the cases of Frank Stella, Kenneth Noland, Al Held, Ellsworth Kelly, Robert Ryman and others; and sculpture in the works of various artists including David Smith, Anthony Caro, Tony Smith, Sol LeWitt, Carl Andre, Dan Flavin, Donald Judd and others. Judd's sculpture was showcased in 1964 at Green Gallery in Manhattan, as were Flavin's first fluorescent light works, while other leading Manhattan galleries like Leo Castelli Gallery and Pace Gallery also began to showcase artists focused on geometric abstraction. In addition there were two seminal and influential museum exhibitions: Primary Structures: Younger American and British Sculpture shown from April 27 - June 12, 1966 at the Jewish Museum in New York, organized by the museum's Curator of Painting and Sculpture, Kynaston McShine and Systemic Painting, at the Solomon R. Guggenheim Museum curated by Lawrence Alloway also in 1966 that showcased Geometric abstraction in the American art world via Shaped canvas, Color Field, and Hard-edge painting. In the wake of those exhibitions and a few others the art movement called minimal art emerged. Robert Morris, a theorist and artist, wrote a three part essay, "Notes on Sculpture 1-3", originally published across three issues of Artforum in 1966. In these essays, Morris attempted to define a conceptual framework and formal elements for himself and one that would embrace the practices of his contemporaries. These essays paid great attention to the idea of the gestalt - "parts... bound together in such a way that they create a maximum resistance to perceptual separation." Morris later described an art represented by a "marked lateral spread and no regularized units or symmetrical intervals..." in "Notes on Sculpture 4: Beyond Objects", originally published in Artforum, 1969, continuing on to say that "indeterminacy of arrangement of parts is a literal aspect of the physical existence of the thing." The general shift in theory of which this essay is an expression suggests the transition into what would later be referred to as postminimalism. One of the first artists specifically associated with minimalism was the painter Frank Stella, four of whose early "black paintings" were included in the 1959 show, 16 Americans, organized by Dorothy Miller at the Museum of Modern Art in New York. The width of the stripes in Frank Stellas's black paintings were often determined by the dimensions of the lumber used for stretchers, visible as the depth of the painting when viewed from the side, used to construct the supportive chassis upon which the canvas was stretched. The decisions about structures on the front surface of the canvas were therefore not entirely subjective, but pre-conditioned by a "given" feature of the physical construction of the support. In the show catalog, Carl Andre noted, "Art excludes the unnecessary. Frank Stella has found it necessary to paint stripes. There is nothing else in his painting." These reductive works were in sharp contrast to the energy-filled and apparently highly subjective and emotionally charged paintings of Willem de Kooning or Franz Kline and, in terms of precedent among the previous generation of abstract expressionists, leaned more toward the less gestural, often somber, color field paintings of Barnett Newman and Mark Rothko. Although Stella received immediate attention from the MoMA show, artists including Kenneth Noland, Gene Davis, Robert Motherwell and Robert Ryman had also begun to explore stripes, monochromatic and Hard-edge formats from the late 50s through the 1960s. The term minimalism is also used to describe a trend in design and architecture, wherein the subject is reduced to its necessary elements. Minimalist architectural designers focus on the connection between two perfect planes, elegant lighting, and the void spaces left by the removal of three-dimensional shapes in an architectural design. Minimalistic design has been highly influenced by Japanese traditional design and architecture. The works of De Stijl artists are a major reference: De Stijl expanded the ideas of expression by meticulously organizing basic elements such as lines and planes. With regard to home design, more attractive "minimalistic" designs are not truly minimalistic because they are larger, and use more expensive building materials and finishes. The concept of minimalist architecture is to strip everything down to its essential quality and achieve simplicity. The idea is not completely without ornamentation, but that all parts, details and joinery are considered as reduced to a stage where no one can remove anything further to improve the design. The considerations for ‘essences’ are light, form, detail of material, space, place and human condition. Minimalist architects not only consider the physical qualities of the building. Moreover, they look deeply into the spiritual dimension and the invisible, by listening to the figure and paying attention to the details, people, space, nature and materials. Which reveals the abstract quality of something that is invisible and search for the essence from those invisible qualities. Such as natural light, sky, earth and air. In addition, they open up dialogue with the surrounding environment to decide the most essential materials for the construction and create relationships between buildings and sites. In minimalist architecture, design elements convey the message of simplicity. The basic geometric forms, elements without decoration, simple materials and the repetitions of structures represent a sense of order and essential quality. The movement of natural light in buildings reveals simple and clean spaces. In late 19th century as the arts and crafts movement began to be popular in Britain, people valued the attitude of ‘truth to materials’, with respect to the profound and innate characteristics of materials. Minimalist architects humbly 'listen to figure,' seeking essence and simplicity by rediscovering the valuable qualities in simple and common materials. Zen concepts of simplicity transmit the ideas of freedom and essence of living. Simplicity is not only aesthetic value, it has a moral perception that looks into the nature of truth and reveals the inner qualities of materials and objects for the essence. For example, the sand garden in Ryoanji temple demonstrates the concepts of simplicity and the essentiality from the considered setting of a few stones and a huge empty space. The Japanese aesthetic principle of Ma refers to empty or open space. That removes all the unnecessary internal walls and opens up the space between interior and the exterior. Frank Lloyd Wright was influenced by the design element of Japanese sliding door that allows to bring the exterior to the interior. The emptiness of spatial arrangement is another idea that reduces everything down to the most essential quality. Another Japanese minimalist architect, Kazuyo Sejima, works on her own and in conjunction with Ryue Nishizawa, as SANAA, producing iconic Japanese Minimalist buildings. Credited with creating and influencing a particular genre of Japanese Minimalism, Sejimas delicate, intelligent designs may use white color, thin construction sections and transparent elements to create the phenomenal building type often associated with minimalism. Works include New Museum(2010) New York City, Small House (2000) Tokyo, House surrounded By Plum Trees(2003)Tokyo. John Pawson is a British minimalist architect; his design concepts are soul, light and order. He believes that though reduced clutter and simplification of the interior to a point that gets beyond the idea of essential quality, there is a sense of clarity and richness of simplicity instead of emptiness. The materials in his design reveal the perception toward space, surface and volume. Moreover, he likes to use natural materials because of their aliveness, sense of depth and quality of individual. He is also attracted by the important influences from Japanese Zen Philosophy. Alberto Campo Baeza is a Spanish architect and describes his work as essential architecture. He values the concepts of light, idea and space. Light is essential and achieves the relationship between inhabitants and the building. Ideas are to meet the function and context of space, forms and construction. Space is shaped by the minimal geometric forms to avoid decoration that is not essential. Gasper House, Zahora, 1992 is a residence that client requested to be independent. High walls create the enclosed space and the stone floors used in house and courtyard show the continuality of interior and exterior. The white colour of the walls reveals the simplicity and unity of the building. The feature of the structure make lines to form the continuously horizontal house, therefore natural light projects horizontally through the building. Literary minimalism is characterized by an economy with words and a focus on surface description. Minimalist writers eschew adverbs and prefer allowing context to dictate meaning. Readers are expected to take an active role in the creation of a story, to "choose sides" based on oblique hints and innuendo, rather than reacting to directions from the writer. ↑ "Encyclopedia Britannica Inc., 2013. Web. 13 November 2013". Britannica.com. Retrieved 2014-06-27. 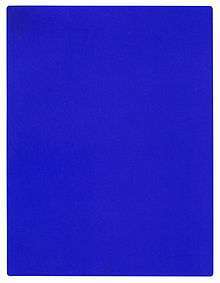 ↑ "Yves Klein (1928-1962)". documents/biography. Yves Klein Archives & McDourduff. Retrieved 12 May 2013. ↑ See also at YvesKleinArchives.org a 1998 sound excerpt of The Monotone Symphony (Flash plugin required), its short description, and Klein's "Chelsea Hotel Manifesto" (including a summary of the 2-part Symphony). ↑ Gregory Battcock, Minimal Art: a critical anthology, pp 161-172. Books.google.com. Retrieved 2014-06-27. ↑ Archives of American Art. "Oral history interview with Lee Krasner, 1964 Nov. 2-1968 Apr. 11 - Oral Histories | Archives of American Art, Smithsonian Institution". Aaa.si.edu. Retrieved 2014-06-27. ↑ See Phillip Johnson, op. cit. A similar sentiment was conveyed by industrial designer Dieter Rams' motto, "Less but better."